Situated in Portsmouth, The Sailmaker's House provides accommodation with a garden and a shared lounge. This inn has air-conditioned rooms with a private bathroom. Free WiFi is available throughout the property and on-site parking is provided. 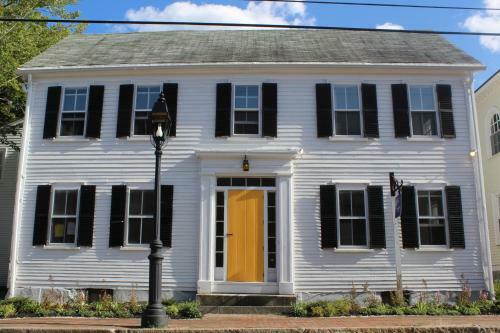 The Sailmaker's House is a 10 room inn located in downtown Portsmouth, New Hampshire. This property was once owned by a family of sailmakers and features a historic home circa 1800. Come stay with us and enjoy our comfortable guest rooms within walking distance of the sights, shops and restaurants of Portsmouth! Water Street Inn, the way life should be, a relaxing home base to return to after exploring all the Seacoast has to offer. We have the best guests in the world!